Here are some of my favorite pictures of Robert Creeley. I am so glad that I took them. 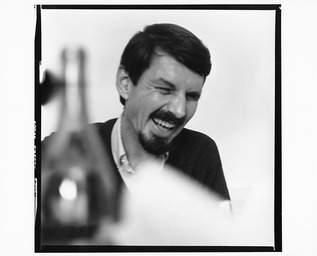 The camera loved Creeley. Not just my camera. The paint brush and pencil loved him too. There are many many wonderful images of Creeley out there. 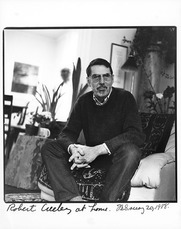 Be sure to see the one by Kitaj and the one by Dine. 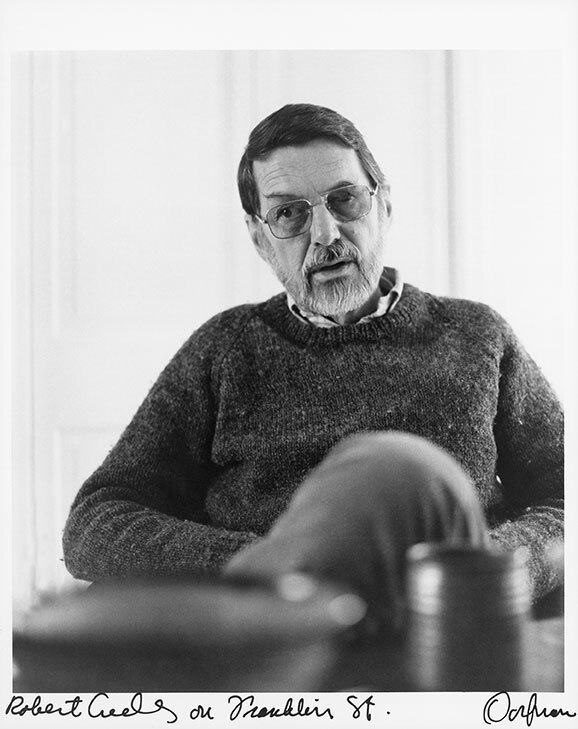 Creeley knew how to lend himself to someone else. And he appreciated the results of someone else LOOKING at him. 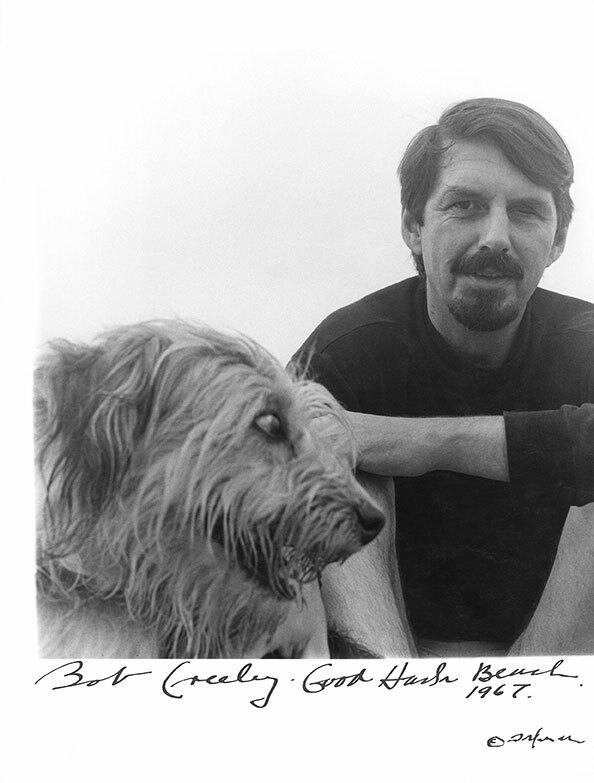 Here are some things that come to my mind abt Creeley. Some times when i miss Bob, I play a game w/ myself. How many things can I remember abt Bob. As if counting snapshots. He was very tidy. He really cdnt stand a mess. I didnt realize this until i stayed at his house and saw how he wiped under glasses and put dishes in the sink. Then i felt guilty that i didnt straighten up my house before he came to Cambridge. He loved to talk. He was spare when he wrote but when he talked he was a great narrator. An oldtime storyteller. Creeley thought nothing of getting into his car and driving away in the night. 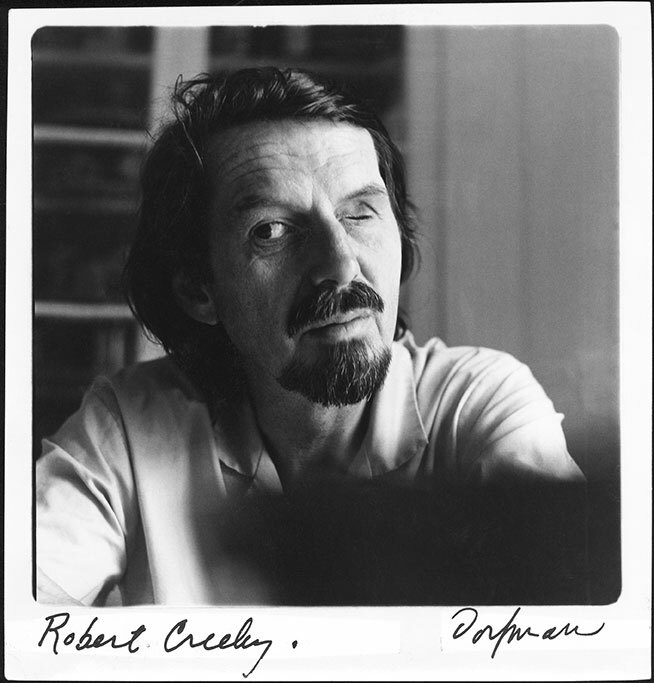 Creeley loved painters. He loved musicians. He loved to collaborate. He hated to use the telephone. His conversations were spare and rare. He loved to make connections between his friends and to help his friends make connections w/ his friends who cd help them. An example: When the housebook came out in 1974 he convinced Ferlinghetti to buy 200 copies. He was sure Lawrence cd sell them. He was wrong. A lot went back to Godine. He kept his books in very tidy bookshelves. In alphabetical order. I'm not sure if they were organized by genre as well as by alphabet! He was always working. At least i never saw him when he had down time, though i know that happened. Email had him. He was always in touch w/ everyone. Even on his last days he was emailing his friends. 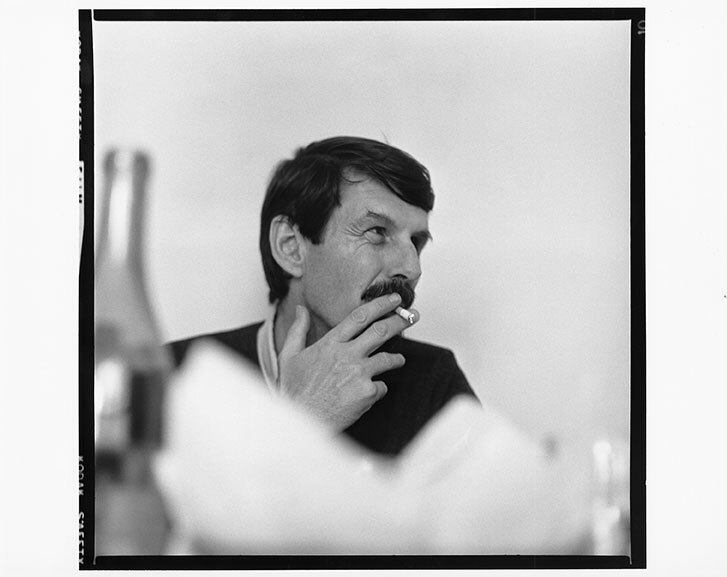 Ernie Brooks got one of his last emails. 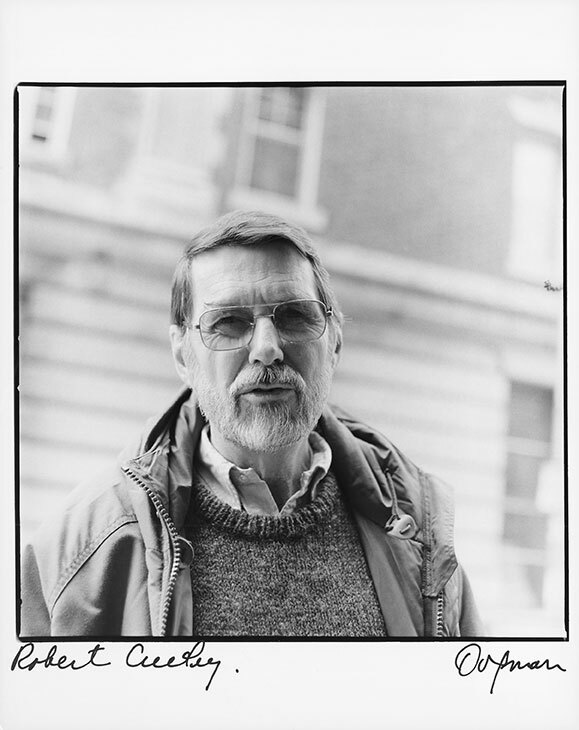 In the sixties and seventies he wd always show up for any protest or reading or long conversation abt the Vietnam War, the country, the world. 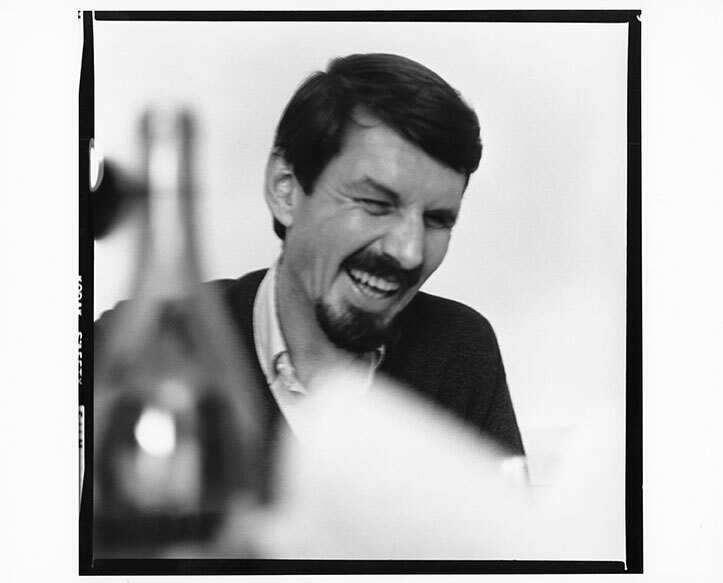 Creeley seemed wirey, but I don't know if he ever really was. He used to wear pull-over sweaters, be succinct, have a certain economy in every way. He didnt forget for a second that he had to leave Harvard because he stole one of the entrance doors off of Dunster House. Stole seems a little harsh; it was probably that he and some pals broke off the door. In any case, this escapade made approval by Harvard matter all the more to Bob. He saved every poster he came across pasted to a pole that announced he was reading at Harvard.